A cracked laptop screen can seem like a very costly problem and often it is assumed that it would be too expensive to repair. This is almost never the case with our very completive rates on laptop screen repairs. We can replace your laptop screen with a high quality replacement screen for as little as £60 including parts and labour. We keep our prices extremely competitive as we don’t have the costs of high street stores and we source our screens at the best rates from reputable suppliers whom we have built a good reputation with. We don’t compromise on quality. We only use genuine replacement laptop screens from suppliers such as LG and Samsung and all our screen repairs include a Full 12 Month Warranty. 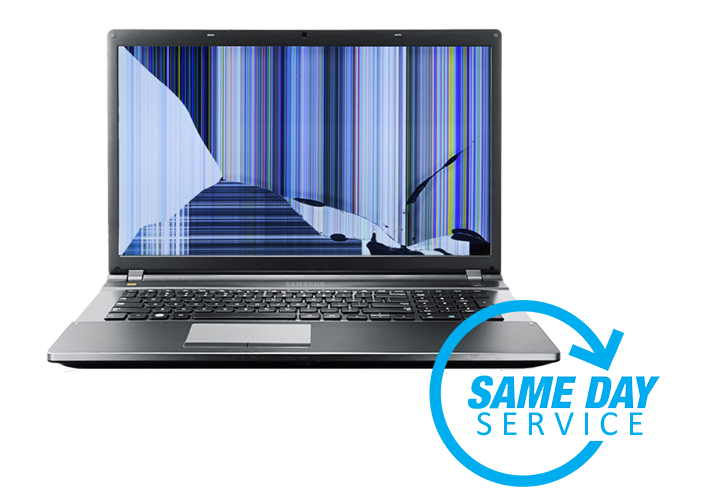 We are experienced in repairing laptop screens for all popular laptop makes and models. File Recovery from PC hard drives, external hard drives or USB pen drives.